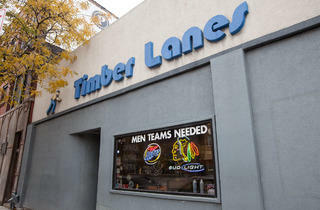 Eight lanes packed into this corner tavern make it a more intimate and old-school night at the lanes. El stop: Brown to Irving Park. Bus: 11, 80. It's nostalgic. Simple. No frills. Cash only. And charming. You get a sense of the past when you step foot inside. It's very relaxed and comfortable with friendly staff and a crowd of regulars. After being here for a birthday party, I will definitely add it to my list of potential birthday party venues. 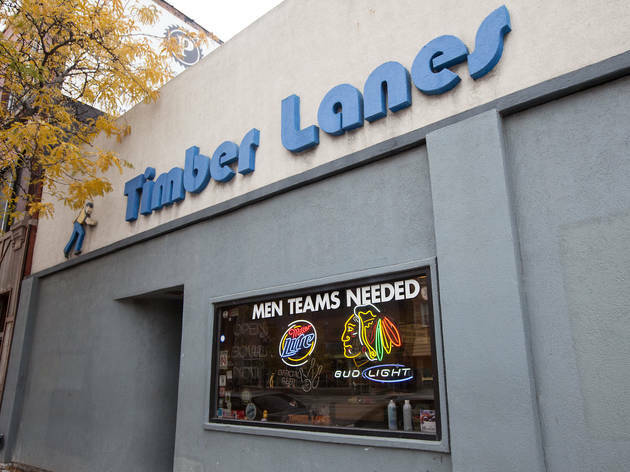 If you like a good dive bar, you'll appreciate Timber Lanes.